This weekend, my friend Aoife flew over from the Isle of Man to stay with me for a few days. Our weekend started early on the friday morning, as we began our journey down to Henley Regatta. 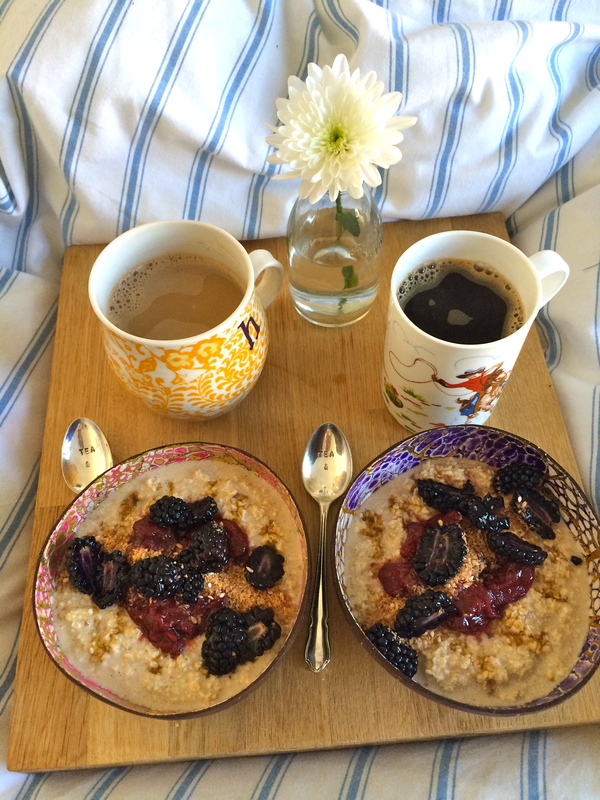 I thought that we might need a hearty breakfast to keep us going until our picnic later on in the day! Aoife is allergic to nuts, dairy and wheat (yes, that’s correct- pretty much all foods!) but I always enjoy the challenge of coming up with something that even the queen of all allergies can eat. 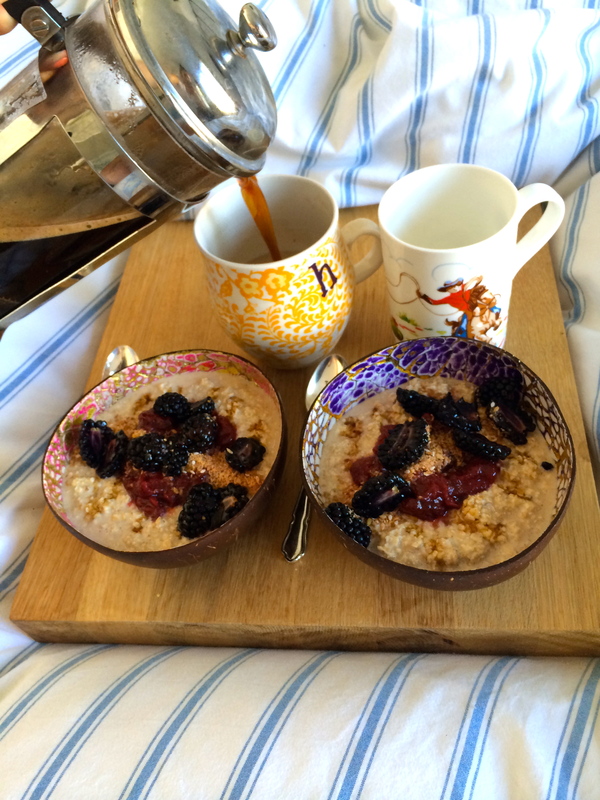 I decided on a hearty bowl of overnight oats to keep us going for a good few hours, as oats are a slow release of energy. You can find the basic recipe here, but this time I used soya milk for the liquid and cinnamon for the flavouring. I had some strawberries that were looking rather sad and sorry for themselves, so I thought I would make them into a lovely fresh compote to go on top of the oats. 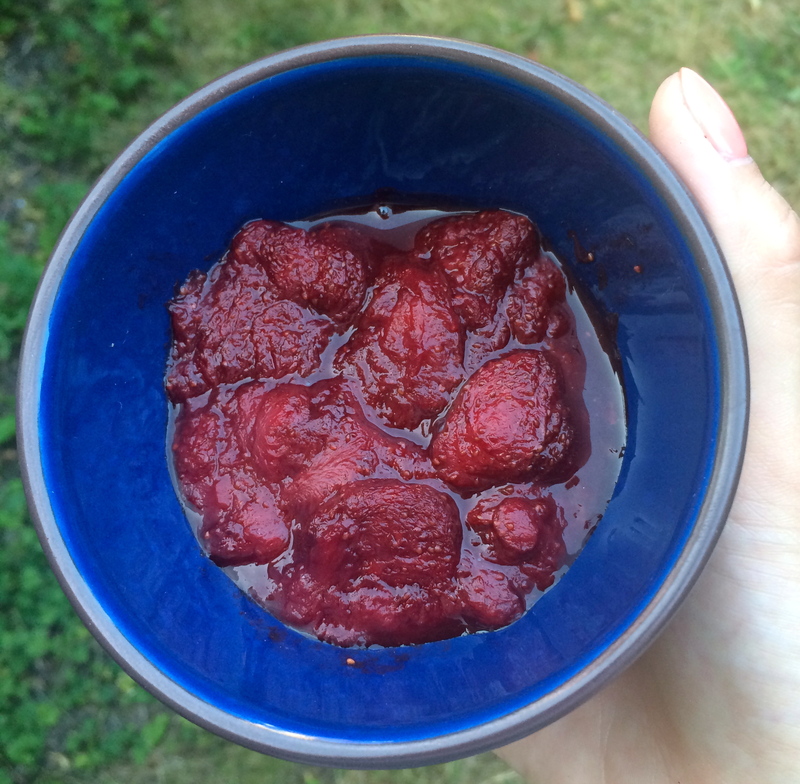 All you need is a bowl of fruit and a couple of tablespoons of sweetener- I used honey. 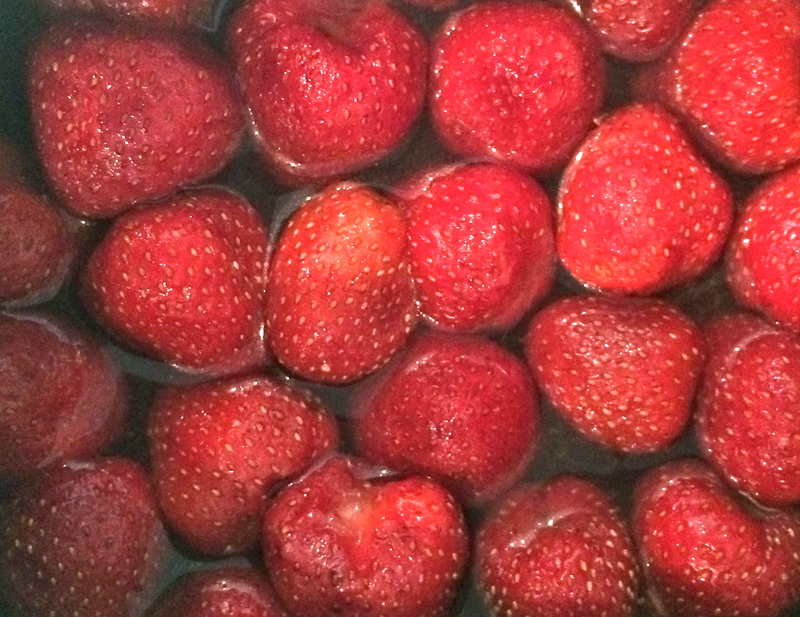 Hull the strawberries and pop them in a pan, just covering them in water. Bring to the boil and add in the sweetener. After about 20 minutes, the fruit should be lovely and soft, and the honey will have made it go all syrupy. It’s then good to go to plonk on your breakfast! 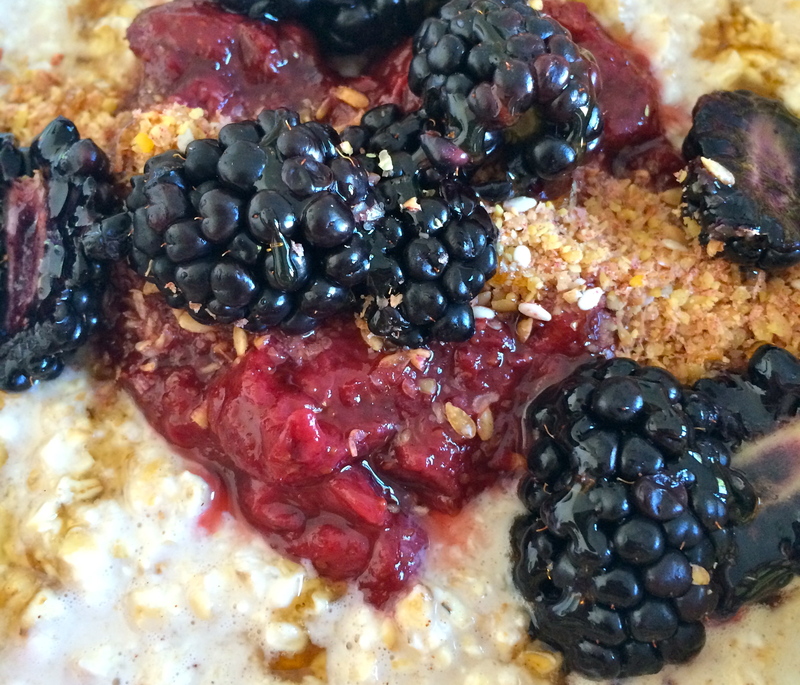 I topped the oats with the compote, some fresh blackberries, a spoonful of linseeds and a drizzle of honey. Serve with a big fresh pot of coffee and enjoy!